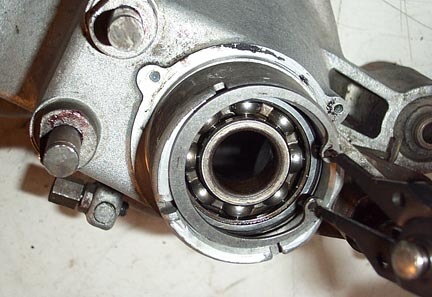 The vespa flywheel bearing is made up of two parts. 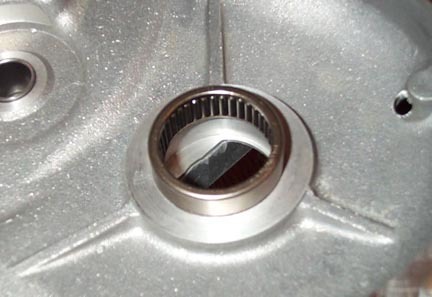 One is a needle roller bearing set in the flywheel side of the casing, and the other is a small inner race that is press fit on the flywheel side of the crank. These should be replaced as a pair and a Vespa dealer can help remove the old race on the crank. 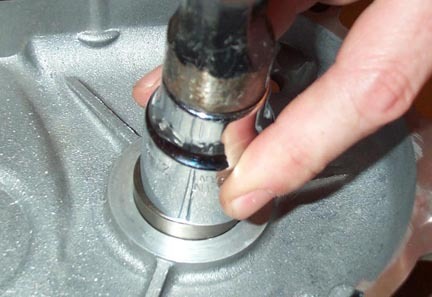 ...and use a metal spacer such as a socket of the same size to gently and squarely tap the race in to position. Make sure the socket bears on the sides of the metal race and not on the needle rollers. 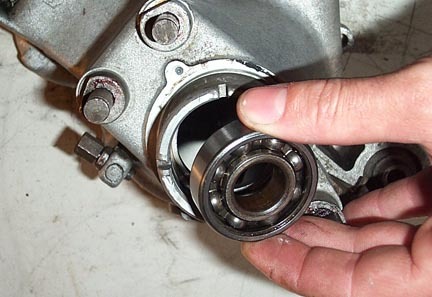 Keep tapping the bearing in until it stops against the smaller machined area where the oil seal will be installed. There is no retaining clip for this bearing. 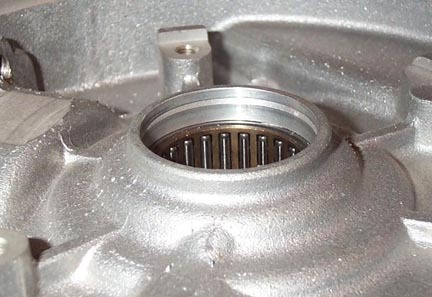 On the other side of the crank is the main bearing which is much heavier duty than the flywheel side. 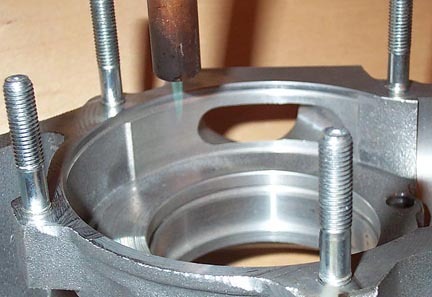 The same idea applioes here, and heating the casing and freezing the bearing is a great way to make the process easier. 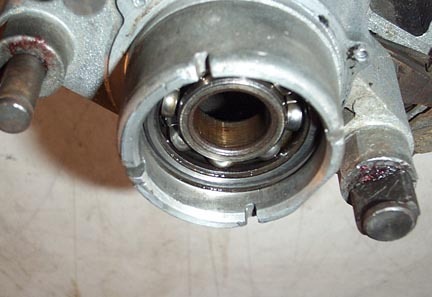 The main bearing goes in from the crank side and is helpd in place with a retaining clip. I use a similar method of installing it by tapping it in with a much larger socket. Be sure whatever you use only bears down on the outer race NOT the inner one. 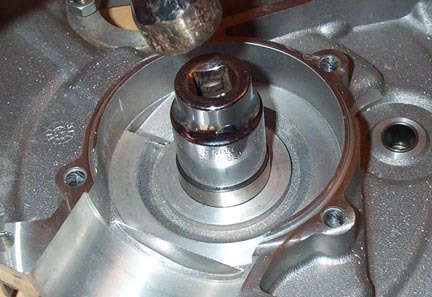 Keep tapping the bearing until it is flush with the machined stops on the clutch side. Finaly, retain the bearing from the crank side with the circlip. 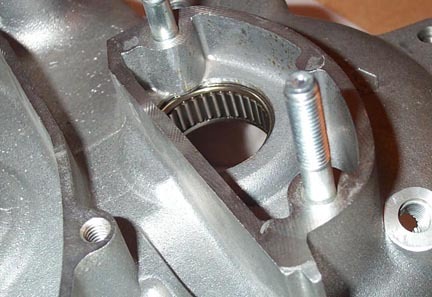 The output shaft is supported by a roller bearing on the flywheel side and the rear hub bearing on the clutch side of the motor. 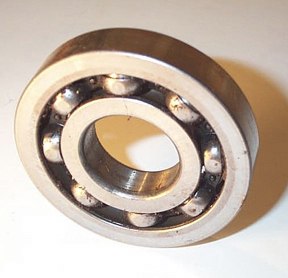 This is another odd bearing that I have only found as a Piaggio part, and is not on any typical bearing manufacturer lists. ...and tap it in with a suitable sized socket. Check on the flywheel side to make sure it has moved all the way against the machined lip. 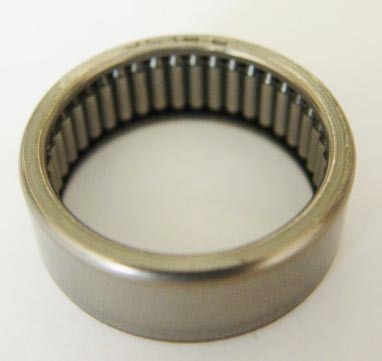 There is no retaining clip for this bearing. 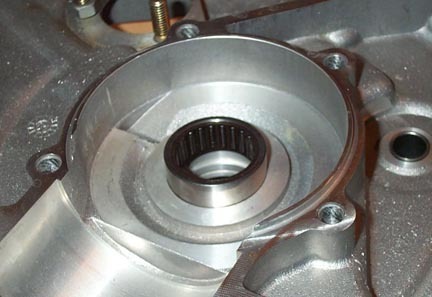 The final casing bearing is the rear axle bearing located on the clutch side half of the casing. 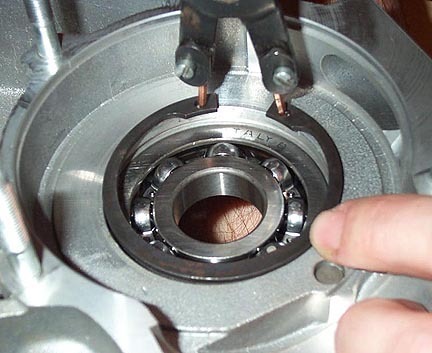 To install onces again, heat the casing and freeze the bearing. Tap the bearing in place with a suitable socket so that the bearing point is on the outer lip only..
...and then retain it with a circlip. 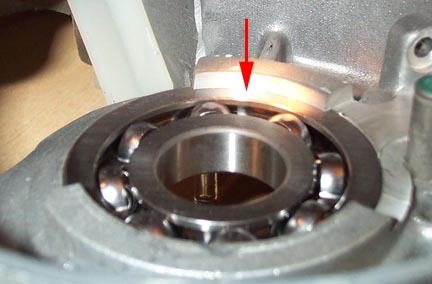 Please note that the PX200 has a different oil seal and bearing layout. 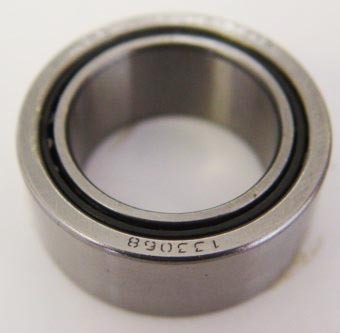 On older P200s the oil seal is outside the bearing but the newer version has the oil seal inside the bearing...weird.